When visiting Bellefontaine Cemetery I always have to stop by an pay my respects to Adolphus Busch, the co-founder of Anheuser-Busch Brewery and the manufacturer of one of my favorite beverages. Even better, our families have been friends for several generations so when when visiting a member of the family, a bottle of bud was always “on the house.” Members of the family always received about 10 free cases of Budweiser a week regardless of where they lived. This is a 3 shot HDR photo processed in Lightroom. 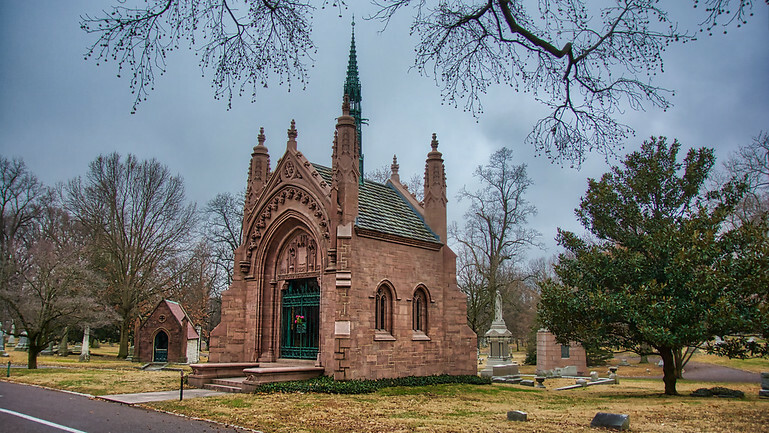 This cemetery is a must for Photographers and open to the public. Veni, Vidi, Vici is engraved above the door of Adolphus Busch’s Mausoleum, the subject of this photo. It means: I Came, I Saw, I Conquered.